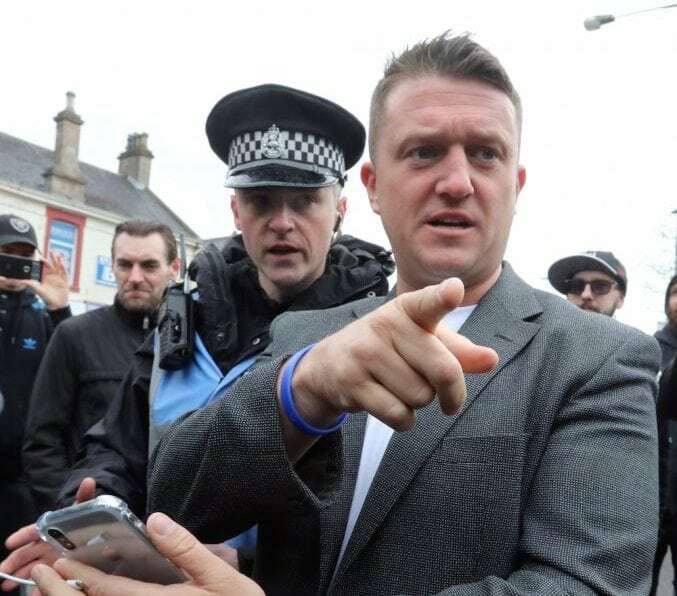 Literature associated with a petition to free Tommy Robinson has been corrected under a counter campaign dubbed #DontFreeTommy. The original petition claims that the outspoken activist has been arrested and jailed for “reporting on Muslim grooming gangs”, which is a complete falsehood. The EDL man was found in contempt of court after filming himself in a Facebook Live video outside Leeds Crown Court, which has since been viewed a quarter of a million times. Literature posted on the petition site also suggested the mainstream media has overlooked many issues Robinson is campaigning around, despite them being regular fodder for most national newspapers. It also suggested that he is raising issues that are being hidden from the public, which was humorously amended to the following, shared on Britain For All. Do you think that’s funny. I watched his live stream and in no way did he do anything that would be prejudicial to the on going trial of that pernicious grooming gang. 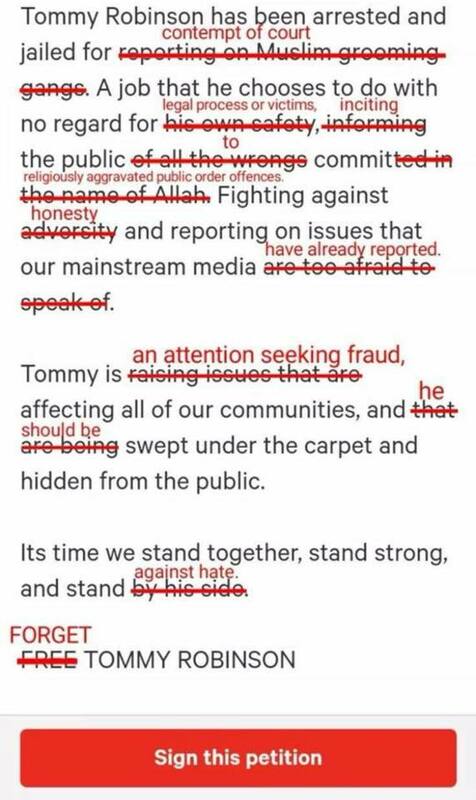 Tommy Robinson is doing the country a public service. Wake and smell the coffee this is happening in towns and cities across the country there will undoubtedly be more to come. Far from spreading hate he is raising awareness. Look into the facts surrounding some or his convictions they are politically motivated. As for trying to bring the grooming gangs to the publics attention. This Times reporter will tell you that Tommy was exaggerating the problem and that the police and social services had the issue in hand already. The grooming gangs would have been better left in the hands of the social services and the police rather than make noise about it. I watched his live stream and in no way did he do anything that would be prejudicial to the on going trial of that pernicious grooming gang. he was told not to stand outside any court and refer to defendants as Muslim rapists by saying Muslim rapists and not alleged he is saying they are guilty therefore could influence anyone watching the live stream. Your comments on Tommy Robinson neither amuse nor fool me. Free Tommy Robinson. This is a little too harsh, but do have a read. Free Press? and you write and promote an article like this? Do you really not see what is happening?